– It’s more delicious, because you can use good, fresh ingredients and customise it to be exactly the way you like it. It’s really, really easy.. all you do is throw in your ingredients in a bowl and stir them. Great, you have the necessary skill set to make granola. – It requires 6 main equipments, and you have them all: a food processor, bowl, measuring cups, a spoon, a tray and an oven. – Baking it will make your entire home smell like heaven. A nutty, sweet, amazing heaven. I like to bake mine in the morning to getting all my taste buds working and make me feel a bit more excited for breakfast. – Last but not least, it’s good for your soul. You will be a more fulfilled and enlightened human. This recipe with the whole oats are full of fibre, high in protein, and contain vitamins and minerals like folate, iron, and magnesium. 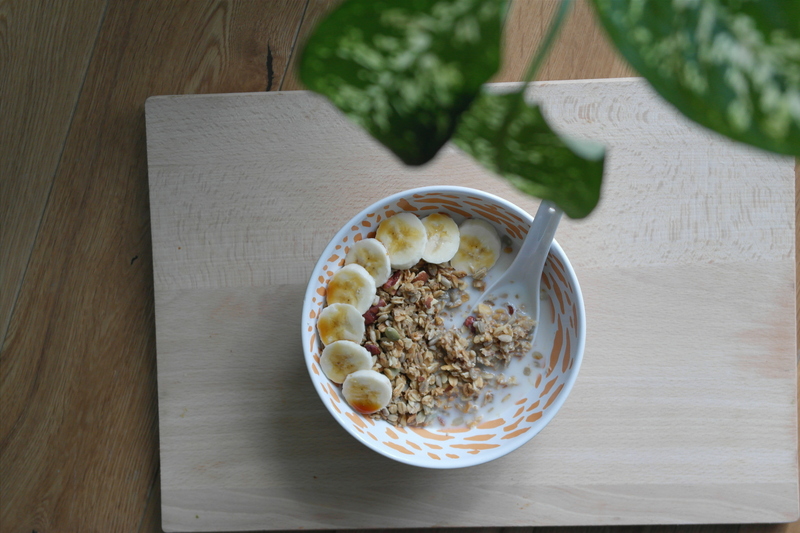 I like to use coconut oil because it’s full of nutrients and adds a really nice light flavour to the granola, but you can use any healthy oil you like the taste of. I would stay away from Olive oil because it has such a strong flavour. As a natural sweetener, I like to use date nectar which isn’t as common as any other sweeteners out there like Agave, maple and coconut syrups. Date nectar is a rich source of natural minerals and anti-oxidants, whilst also having a low Glycemic Index (GI). I like to use the Beloved Dates Date nectar. Pre-heat the oven to 200C. Blend your almonds and pecans very roughly. Measure out your oats, nuts, dried fruit and seed and place them all in a very large mixing bowl, or two medium sized bowls. Add in your coconut oil and date nectar and stir until everything combines well together. 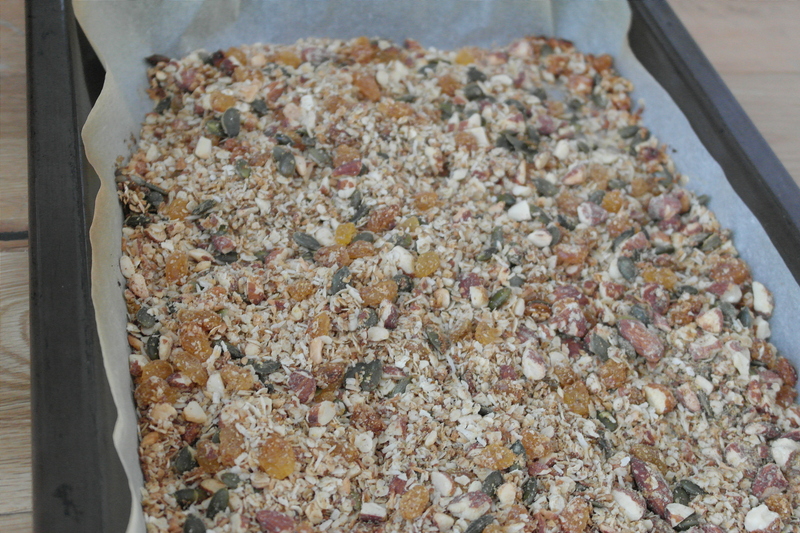 Spread out your mixture onto a baking tray with a baking sheet and bake for 15 to 20 minutes. All ovens are different, so check yours at the earlier end of the time range to see how brown it is, and keep a nose out to make sure it’s not burning. 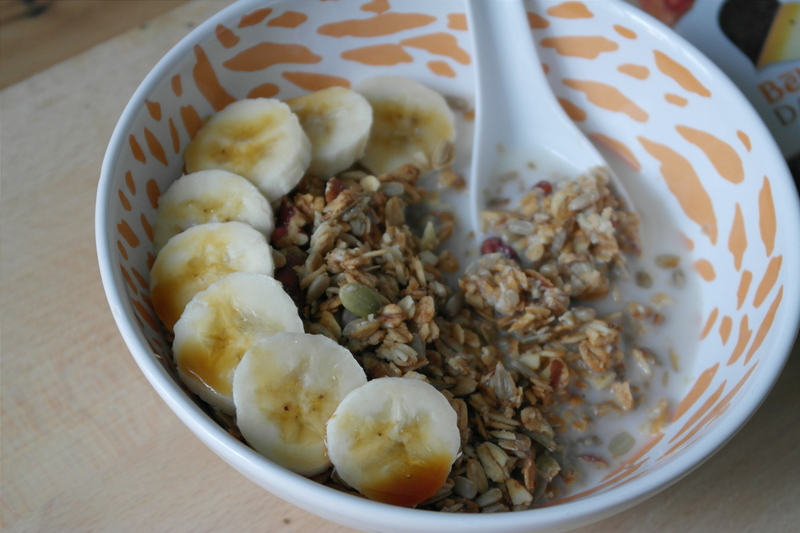 Keep in mind that it won’t be crunchy even when it’s done baking; the granola will set and harden as it cools. Once it cools, serve with your favourite milk/yoghurt and fresh fruit!